Overfishing is a serious environmental issue and is essentially catching too many fish. This depletes the adult fish population and does not leave enough fish to breed and restock their numbers so that they can be sustainable. 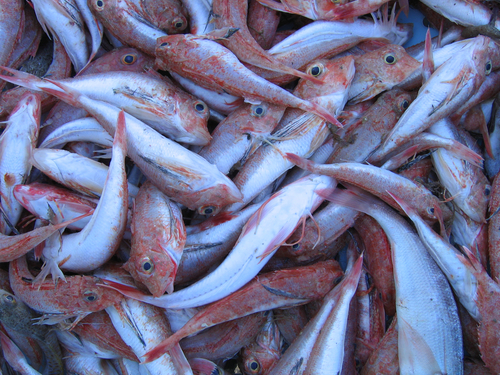 Overfishing can also be defined as fishing aggressively to decrease the stock levels to such an extent that they can no longer support the necessary amount of fish needed for 'harvest'. The reasons that cause overfishing are in a large part due to the worldwide fishing fleets that are five times as large as then what is actually necessary to catch fish that our oceans can realistically support. Globally our active fishing fleets have the capacity to cover at least 4 planets that are the size of earth. Many fishing methods in addition to the overcapacity are causing fish to be unsustainable. These methods damage ecosystems and cause incredible damage to our marine life. Bottom trawling is an example of this, by its non-selective fishing method and heavy gear use, this cause's enormous destruction on the non-target fish. There are studies from the UN Food and Agriculture Organization's report, which is done every two years on the state of aquaculture and the world's fisheries. This report not only discusses the problems of overfishing but shows key trends and issues, regarding the problems and causes of the unsustainability of fish in our ocean. The above examples show that more than 25% of the entire world's fish stocks are either depleted or totally overexploited. Over 50% are in imminent danger of being at the maximum sustainable level for production and are on the verge of collapse. These facts show that almost 80% of the world's fisheries are in a condition of fully, overexploited or a depleted state of disarray. Ninety percent of the stocks of predatory fish are gone as well. This causes two serious problems related to overfishing. We are losing entire ecosystems as well as species and the overall ecological unity of our oceans is at a great risk of collapsing. Our food source that we depend on for economical, dietary and general sustenance is also in great risk and caused by overfishing. Another example of the dangers of overfishing can be found in Newfoundland, Canada in 1992. The thriving and abundant cod industry came to a complete standstill when start of fishing season began and there were no cod. Decades of overfishing allowed by mismanagement caused this catastrophic disaster in not only an eco-system in a complete state of decay but nearly 40,000 people losing their livelihood. Now, twenty years later after the disaster fisherman are still waiting for the cod to return and the hard hit communities have not recovered from the abrupt removal of their regions most important economical driver. The only people that are still thriving in this area are crab fisherman, crab being a species considered a nuisance by the majority of the Newfoundland fisherman. Overfishing not only affects the fish, but the increased effort needed to catch a commercially valuable marine animal are becoming over exploited, killed as a bycatch and then discarded sometimes as high as 80% in certain fisheries. Many scientists agree including Dr. Daniel Pauly, Professor and Director of the University of British Columbia's Fisheries Centre who says "The big fish, the bill fish, the groupers, the big things will be gone. It is happening now. If things go unchecked, we'll have a sea full of little horrible things that nobody wants to eat. We might end up with a marine junkyard dominated by plankton." When fish stocks are declining and commercial fisheries become unviable due to overfishing, the remaining fish stock recuperate and continue along on a pathetic level but doesn't become extinct. There are ways to reverse the destruction that may only take a decade as opposed to other situations that might take a century. In order to have productive oceans again there are steps that can be taken before we cross the point of no return. By managing and regulating overfishing there are some ground rules that can be put into effect, such as setting safe catch limits by scientifically determining and constantly reassessing the total number of fish caught and landed by fisheries. 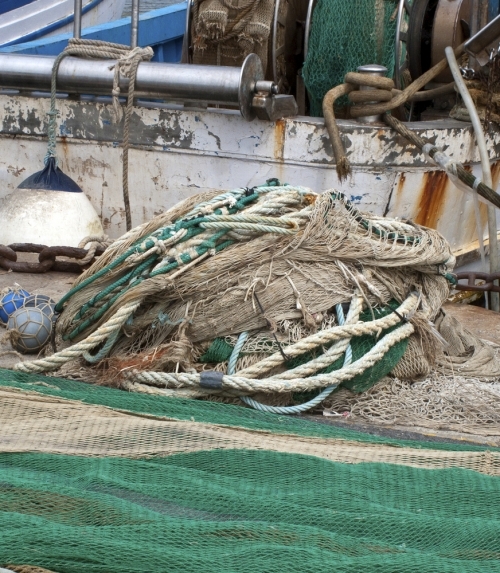 Preventing the unintentional killing and disposal of fish and other marine life, that is not part of the target or landed catch, by enforcing bycatch controls. Protection of habitats and ecosystems from destructive fisheries, for example, fish nursing grounds and coral reefs. Establishing a monitoring system to prevent and enforce fisherman from landing more fish than they are allowed and not to fish in recuperating or closed areas. By enabling management systems based on these principals to be implemented worldwide, there is a solution to overfishing and thereby allowing the fish to become populated and sustainable once again.